Sometimes, it's the smallest things that get my mind racing. 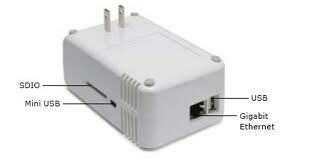 My current project (not telling yet) is based in a Sheevaplug, literally a 5 watt Linux server hidden in a wall wart! Inside the SheevaPlug there’s a 1.2GHz ARM embedded processor, 512MB of DDR2 memory, 512MB of FLASH storage, gigabit ethernet, SD card support, and two USB 2.0 ports. Plenty of horsepower and the right I/O to field some pretty interesting applications. This version is the reference design but a reduced subset can be deployed for roughly $50 a plug.